Today I got my Blank Slate from Blank Slate Climbing. The Blank Slate is a pretty unique piece of equipment that fills a relatively niche problem – mounting a hangboard easily and cleanly (without damaging, marking, or altering walls). 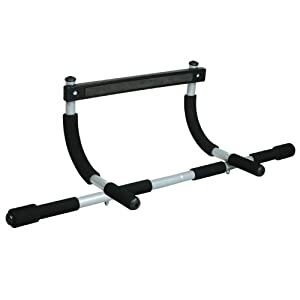 The Blank Slate mounts in a doorway similar to common pull up bars like the iron gym. It uses the cantilever effect to mount in a doorway without damaging the door, wall, or frame. By pulling downward on the board (or anything mounted thereon), the beam is pushed into the door frame, and the rear beam is pushed into the wall above the door, and the Blank Slate is secured by simple physics. Despite appearances, the door frame molding is not supporting the Blank Slate at all. Here are a few shots I took of unboxing and putting together the blank slate. Total setup took less than 20 minutes, and was pretty painless.